The Terence Engineerwood Night Stand will make the perfect bedside companion. 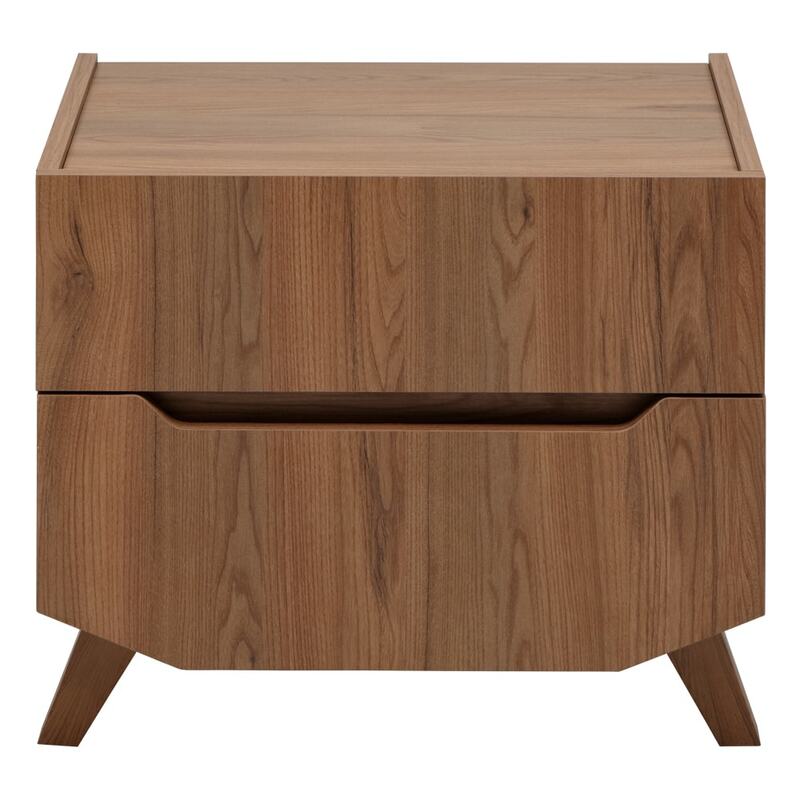 The night stand comes in a monotone shade of natural walnut, which adds a contemporary touch. Made of 18 mm thick, high quality particle board with Melamine, this night stand features just the right amount of space for your bedtime literature, or other knick knacks. The drawers have a thick base, each one 8 mm thick at the bottom. They have also been built thoughtfully, with easy grips to pull out the drawers and a convenient metal channel that ensures that they slide in and out with ease. The Terence also has slim legs and a cream coloured back panel. All the designer fittings used in this piece are either Hettich or Samet. You can choose to buy this piece from our online furniture site, or visit any of our 25 furniture stores across India for the best deals in home furniture.